A wide range of key players from the sports and fitness sector gathered earlier this week at the second British Rowing Indoor Rowing Forum as the results of research undertaken to segment and target the indoor rowing audience were revealed. 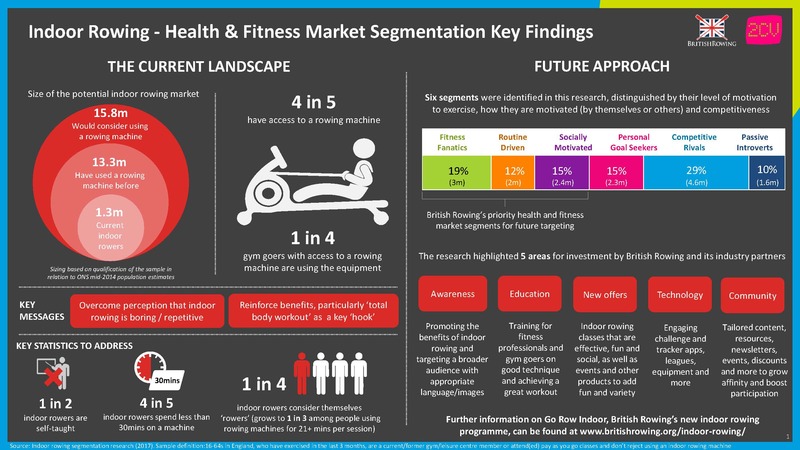 At this session, attendees learnt about the market segmentation that will be used to inform and support the development of products, activities and innovations to improve the indoor rowing experience and overcome barriers to participation. 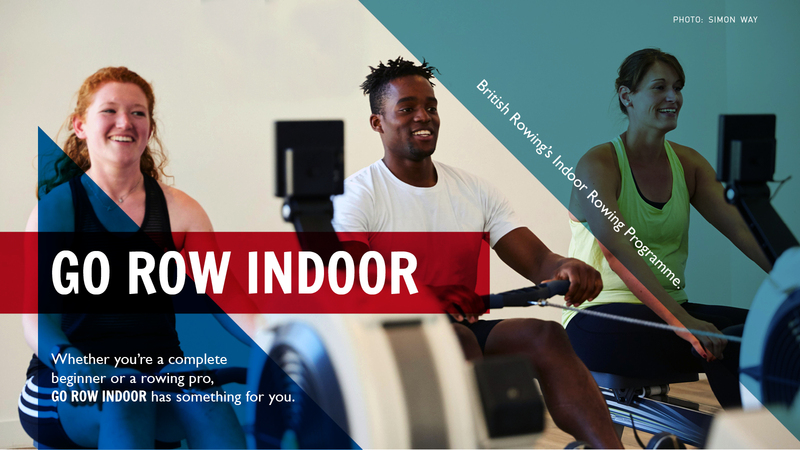 With a better understanding of the demographics, motivations and barriers towards sport, fitness and indoor rowing specifically, British Rowing aims to grow the number of indoor rowers in the next five years. Download a summary of the indoor rowing research here. Outlining the key findings from the quantitative and qualitative research undertaken by 2CV and supported by Sport England, Helen Rowbotham, Director of Innovation at British Rowing, provided background to the current situation: “The opportunity for indoor rowing is vast. Our research has identified that 15.8 million people would consider using a rowing machine and a good infrastructure for growing the sport is already in place as 79% of people with this intention already have access to a rowing machine. That said, despite high access, only 1 in 4 gym goers are indoor rowing. Following the initial quantitative research, qualitative research was conducted with these three priority segments which revealed consistent perceptions of indoor rowing. They all recognised that indoor rowing could provide a fantastic physical workout, but had negative perceptions about knowledge of the correct technique, the best way to train on an indoor rowing machine and the fact that indoor rowing could be boring and repetitive. Rowbotham comments: “It’s very clear from these results that education will be key for all segments from teaching the basics of indoor rowing – including correct technique and how to set up and use the machine – to understanding how the sport can benefit their fitness. Work is already being undertaken by British Rowing to achieve its participation goals including; the appointment of five master trainers; the development of innovative 20, 30 and 45 minute class formats; pilot work with national gym chains; the creation of engaging content include technique videos and training plans; partnerships with technology companies developing apps and leagues; and the creation of a national communications’ programme to reach consumers. You can find out more about Go Row Indoor in our dedicated indoor rowing section of the website.